Most of us often feel overwhelmed with juggling our jobs and family responsibilities and need a break from it all once in a while. If that is you, consider taking your break and head to Disney for a girlfriend getaway. Put your electronics down and connect with your friends face to face for a lifetime experience. Release your inner child and have a blast. Credit Card Traveling Mom did just that several years in a row. She says Disney World is a perfect destination for fun with your besties. See why! Why Disney for Girlfriend Getaway? During my repeated visits to Disney World for the Traveling Mom retreat, I developed a new appreciation for the park. When visiting without my family, I quickly realized that the experience is so much different. I could focus on my own fun! 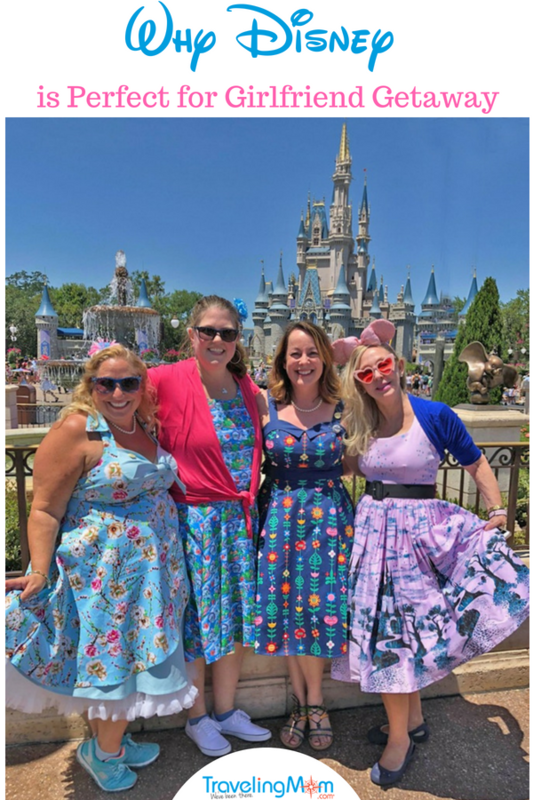 I spent a lot of time with other Traveling Moms and came to the conclusion that Disney is a perfect place for adults too, especially if you can enjoy it with your friends. Above all “Girls, they wanna have fun,” right? This is what girlfriend getaways are all about. To relax, to have fun, to unwind, and even giggle like little girls. Is there a better place to do it than Disney? Where else can you find sunshine all year combined with a world-class amusement all day long? Undoubtedly, Disney World will meet all your entertainment needs for lasting memories of your time together. Check out each park to discover its own charm and unique attractions. 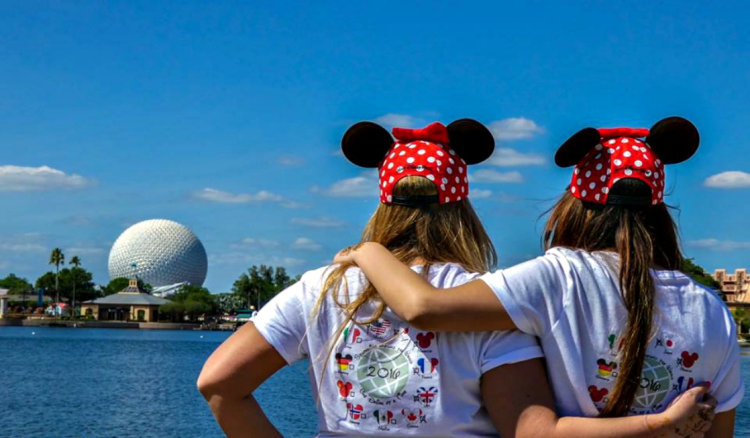 Epcot will definitely meet your expectation for the perfect Disney girlfriend getaway. Photo by Yvonne Jasinski / Credit Card TravelingMom. I suggest starting with Epcot. Its main attraction – the World Showcase – will surely impress. Eleven countries represented here circle around the reflective lagoon. With native speakers at each country, live shows, and authentic food, Epcot delivers a small sample of the world. Eat and drink around the world. Get your appetite ready! With an easy stroll around the lagoon, take a culinary journey around the world. Where else you can visit so many top-notch international restaurants within walking distance of each other? 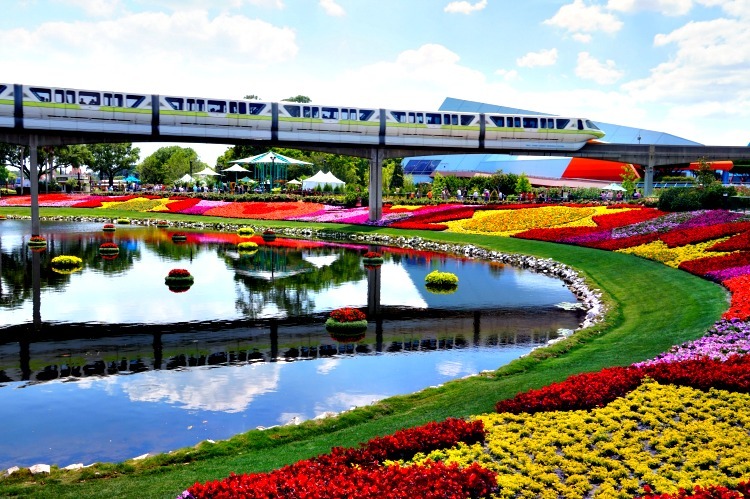 Enjoy the Epcot International Flower & Garden Festival. I recommend visiting in March, April, or May when spring is in its full swing with Epcot’s International Flower & Garden Festival. What a great break for those of us who come from the North! Enjoy the warm weather and a vibrant display of flowers. Certainly, girls know that shopping is fantastic at Epcot. You will find high-quality goods from all eleven countries. 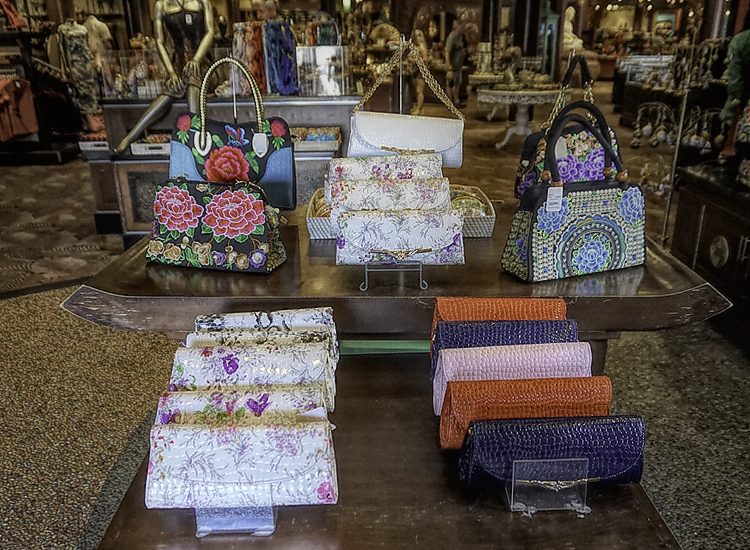 How about some French perfumes or Italian leather goods? Or perhaps traditional German wool sweater? I can promise you, the temptation will be strong! Take a ride in Epcot. Definitely, my favorite ride of all Disney attractions is Soarin’ Around the World! Fly above some of the most breathtaking man-made and natural wonders of the world. What an excellent adventure to enjoy with a group of friends! For my viewing pleasure, the movie starts with a close-up view of the Matterhorn mountain in Switzerland, which I visited a few months before. “Flying” over it, gave me a new perspective on its size and beauty. Breathtaking! 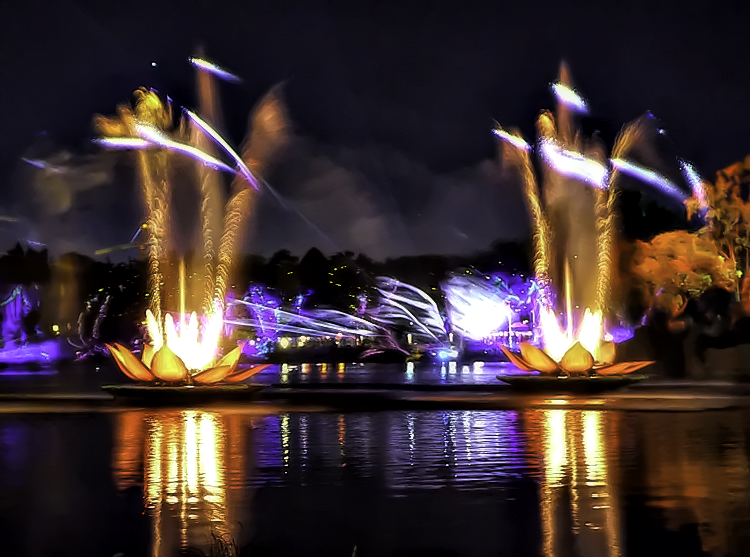 After a busy day, relax with Walt Disney World Resort’s IllumiNations show. Reflections of Earth is a light and sound presentation for the senses, with fireworks and music to celebrate the incredible planet Earth. Let’s get this girlfriend party started! Photo courtesy of Lori Hope Fries. It has often been said that the true essence of Disney magic can be experienced simply by stepping foot inside the Magic Kingdom. The park continues to remain the undisputed king of theme parks, drawing more yearly visitors than any other. This is where you may be greeted by Micky! Certainly, you would not want to miss that opportunity. 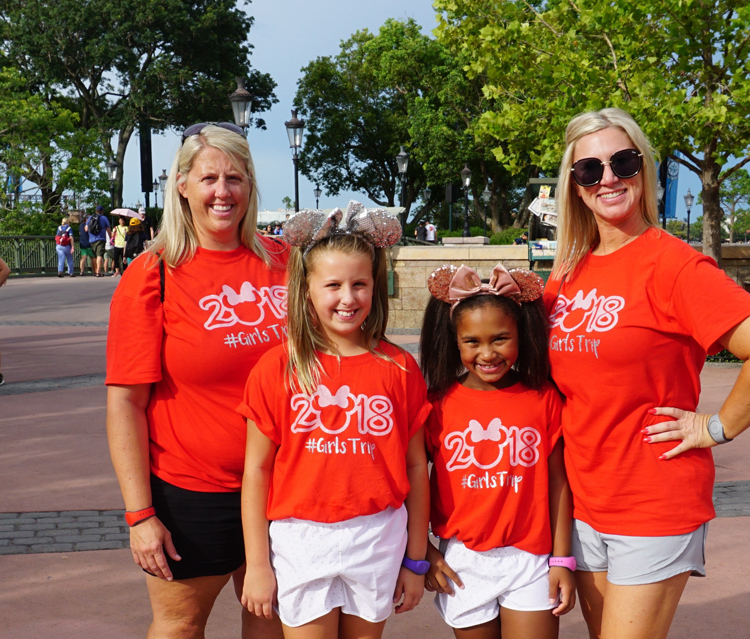 Girls just want to have fun at Magic Kingdom. Photo courtesy of Lori Hope Fries. Suggested activities at Magic Kingdom. Best rides for a girlfriend getaway. On this ride, you will experience examples of Disney creativity: a realistic mining town, falling rocks, and an earthquake, all humorously animated with swinging possums, and petulant buzzards. Do not miss it! – possibly the best attractions at the Magic Kingdom. 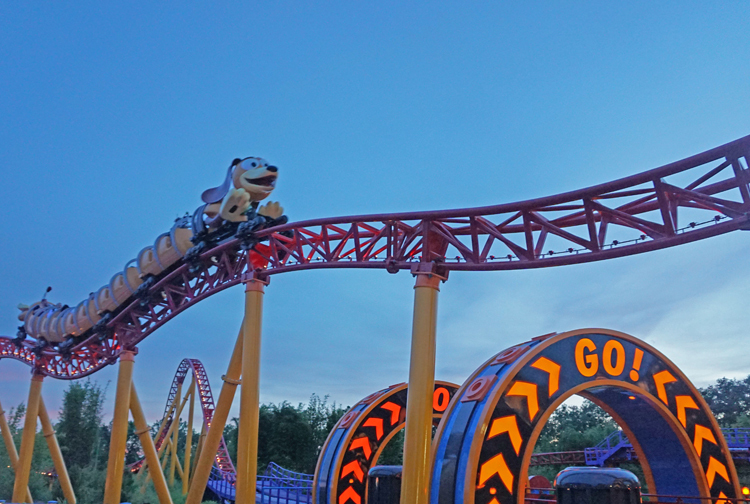 This classic Disney ride sends guests on a roller coaster ride through space. Set to a soundtrack that features music, the sounds of passing spaceships and asteroids zipping by, it will deliver lots of fun! Again, complete your day with at Disney with another nightly spectacular Happily Ever After Experience. Wait for a grand finale with most elaborate fireworks showcase in Magic Kingdom history. If nature is your thing, then this park is for you. The park is dedicated and themed entirely around the natural environment and animal conservation, a philosophy once pioneered by Walt Disney himself. It features traditional attractions while also exhibiting hundreds of species of live animals. 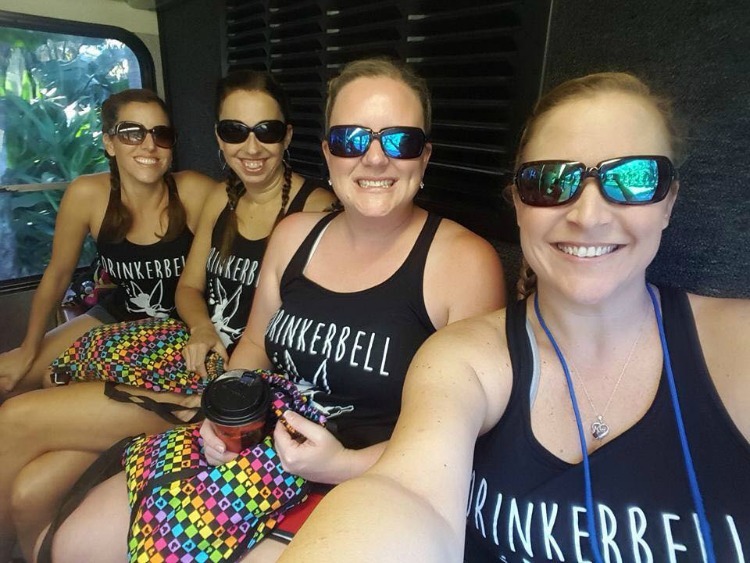 Get your girlfriends together for a one of a kind adventure. 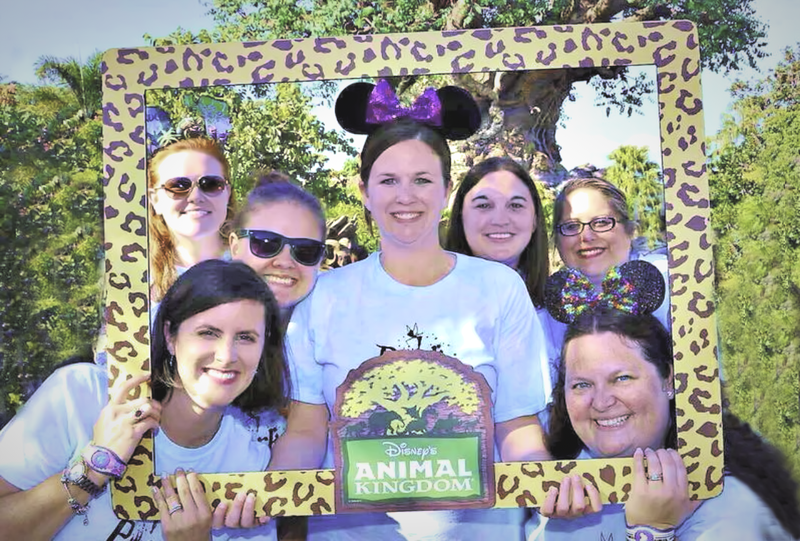 Explore exotic lands of Oasis, Discovery Island, Africa, Rafiki’s Planet Watch, Asia, Pandora and DinoLand U.S.A. areas. Take a wildlife adventure ride with your friends – a great opportunity to see real-live exotic animals of an African savanna. This bumpy ride in an open-air vehicle will give you a taste of a real safari. 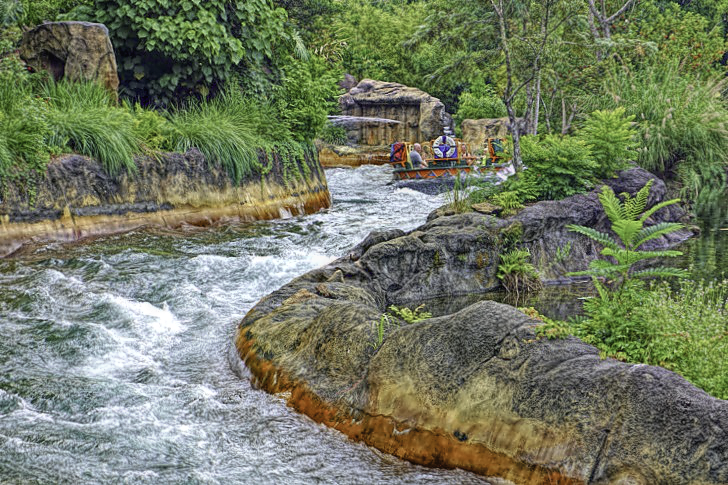 After a hot ride in African savanna, you can cool down or even wash yourself off on a next adventure – Kali River Rapids. When you see the numerous signs warning that you will get wet, believe them. You will be splashed or maybe soaked! What a fun ride to cool down! Photo by Yvonne Jasinski/Credit Card TravelingMom. Best fun for girlfriends? Dancing of course! Discovery Island Carnival, a nighttime dance party with a cavalcade of dancers, stilt walkers and musicians delivers just that. It cannot get any better than that for a girlfriends getaway! Similarly to other Disney parks, Animal Kingdom opens its door at night with spectacular light shows River of Life and Tree of Life, both celebrating the magic of nature. You will love it! River of Life at Animal Kingdom delivers a light spectacular. Photo by Yvonne Jasinski/Credit Card TravelingMom. 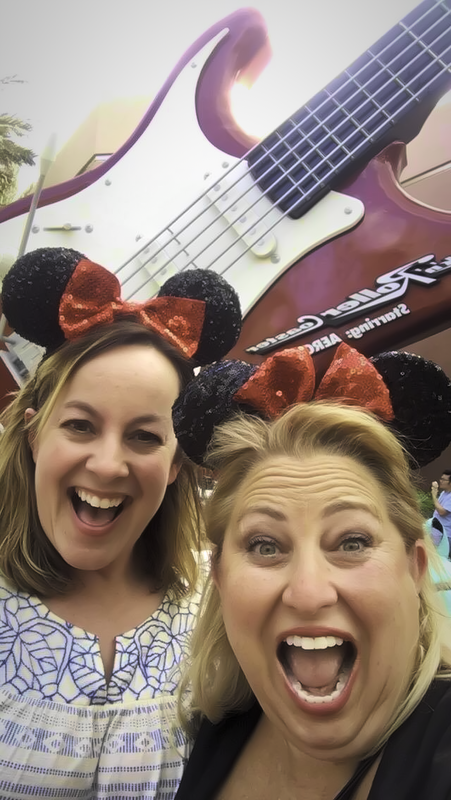 Finally, Hollywood Studios is also a great park for Disney girlfriend getaway. 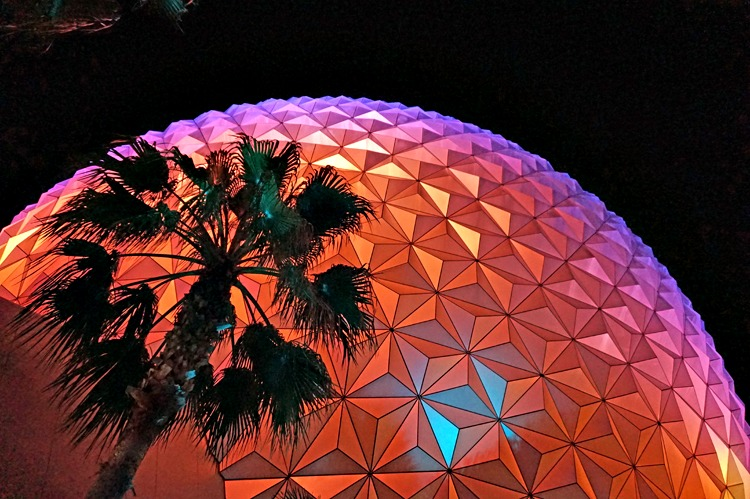 It is often described as a half-day park because of its size and show-based attractions, but the Studios holds three of the most popular rides at Walt Disney World. I love this ride at Hollywood Studios’ newest attraction, Toy Story Land. It delivers a lot of thrills on well-designed track layout. Not too short and very smooth, which is important for my achy bones. Try to ride at night for a great light illumination. Aerosmith roller coaster screams girlfriend getaway. This enclosed high-speed steel coaster takes 2.8 seconds to get you from 0 to 57 miles per hour straight into a first big loop while you listen to Aerosmith music. Warning: This ride is intense and rather shaky, therefore not suitable for people with back or neck problems. Girls are definitely having fun! Photo courtesy of Lore Hope Fries. A free-fall thrill ride set in the Twilight Zone with an elaborate lead-in and excellent story. Great attraction for a group screaming! After a long day of rather intense experiences, it is time to relax. Make sure you and girlfriends attend Symphony in the Stars fireworks: A Galactic Spectacular, synchronized to the Star Wars soundtracks. The show is amazing and the finale is overpowering. 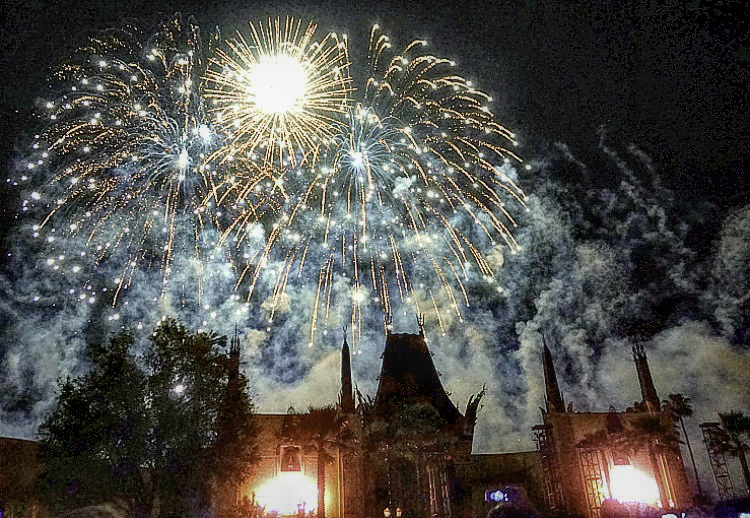 Symphony in the Stars fireworks will end your day at Hollywood Studios. Photo by Yvonne Jasinski/Credit Card TravelingMom. Similarly to theme parks, Disney Springs is a great place to spend a day with your friends. Shopping and dining choices are fabulous. Entertainment includes a wide array of acrobatic artistry, art, theater, and live music. To top it all, parking and admission are free. After all, we are the stars here! Photo courtesy of Caroline Whiddon Knowles / Gulf Coast TravelingMom. Even if you are not into bowling, check out upscale and nostalgic Splitsville Luxury Lanes for your entertaining and dining needs. 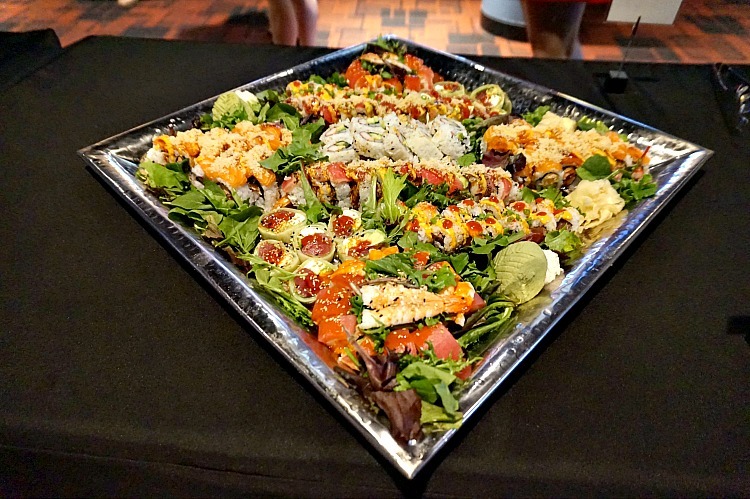 With its great décor, delicious food including two sushi bars, outdoor patio, live music and dancing, and 30 bowling lanes this two-story complex has something for everyone. Most importantly, to complete your Disney girlfriend getaway you should pamper yourself at one of excellent Disney resorts spas. You deserve it! Always wanted a Disney Princess makeover for adults? The wait is over! Discover Disney’s Character Couture, now available at four Disney Locations. 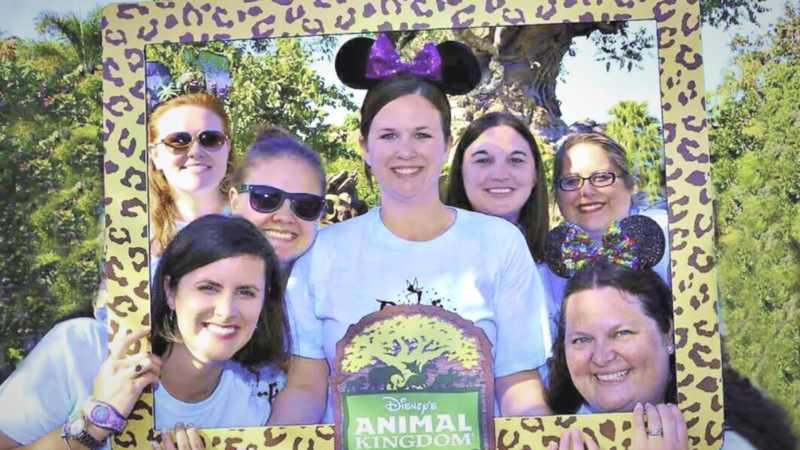 TravelingMom Tip: Do not forget about Memory Maker, a new way to enjoy unlimited digital Disney PhotoPass photos captured at hundreds of locations throughout Walt Disney World Resort. Where to stay for Disney Girlfriend Getaway? Finally, having a great place to stay is a must for a successful Disney girlfriend getaway. 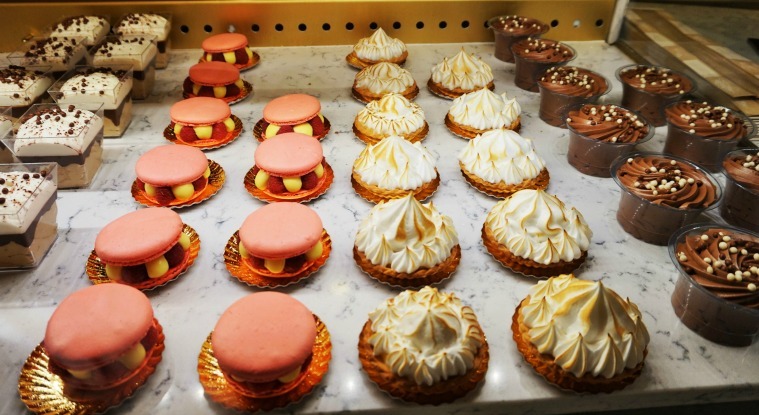 At Disney, you will find many options to suit your taste and budget. Disney Resorts deliver top-notch accommodation. So far, Disney’s Animal Kingdom Lodge is my favorite. 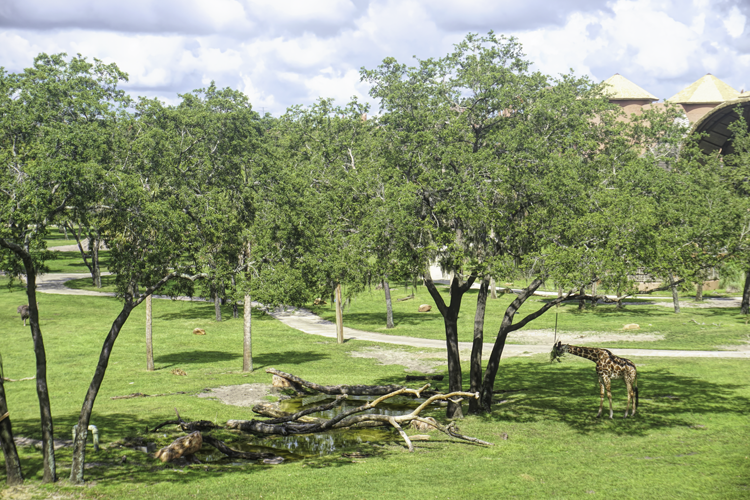 More than 20 African lodges were visited by Disney’s designers for inspiration before recreating a slice of Africa in Orlando. What is the best part of the resort? Impressive 43-acre wildlife preserve! Aside from Africa, where else can you find a hotel where a giraffe is strolling under your balcony? Other options are also available for lodging outside of the main Disney resorts. 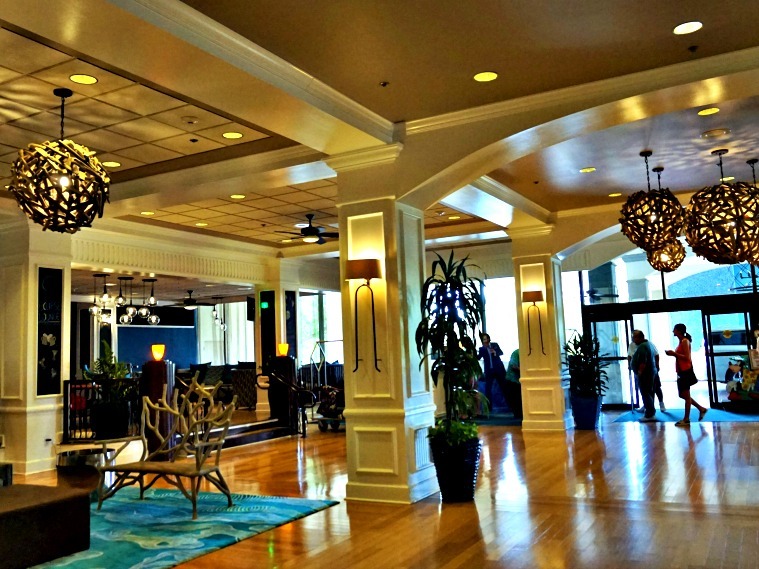 At Disney Springs, Wyndham Lake Buena Vista seems to be a good match. This Official Walt Disney World Resort provides a shuttle to all things Disney. You will not miss a beat! Additionally, you and your friends will appreciate the opportunity to relax on the beautiful pool deck and soak up Florida’s sunshine. Great meals are available at one of several onsite restaurants. At the end of the day, Eclipse Bar is a fun place to meet for cocktails. 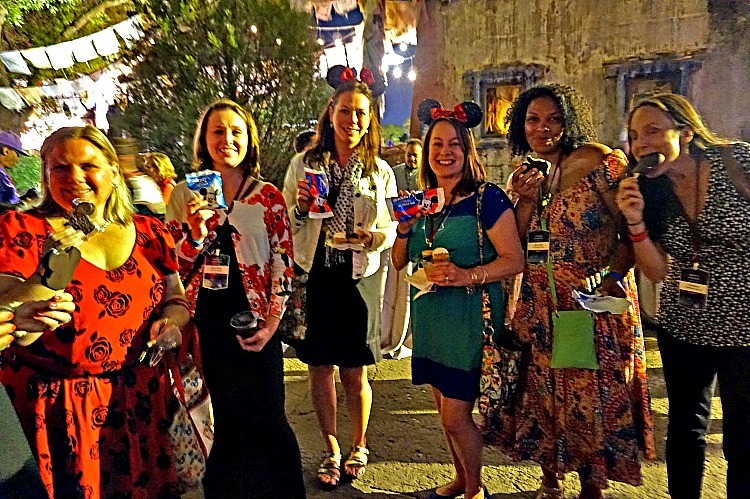 What is your best memory of Disney girlfriend getaway? Wonderful place for a grown-up getaway. Had a blast. My rating should have been 5 stars but it only let me post 2. 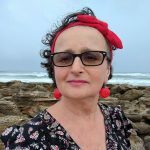 Thank you Yvonne for this great blog. 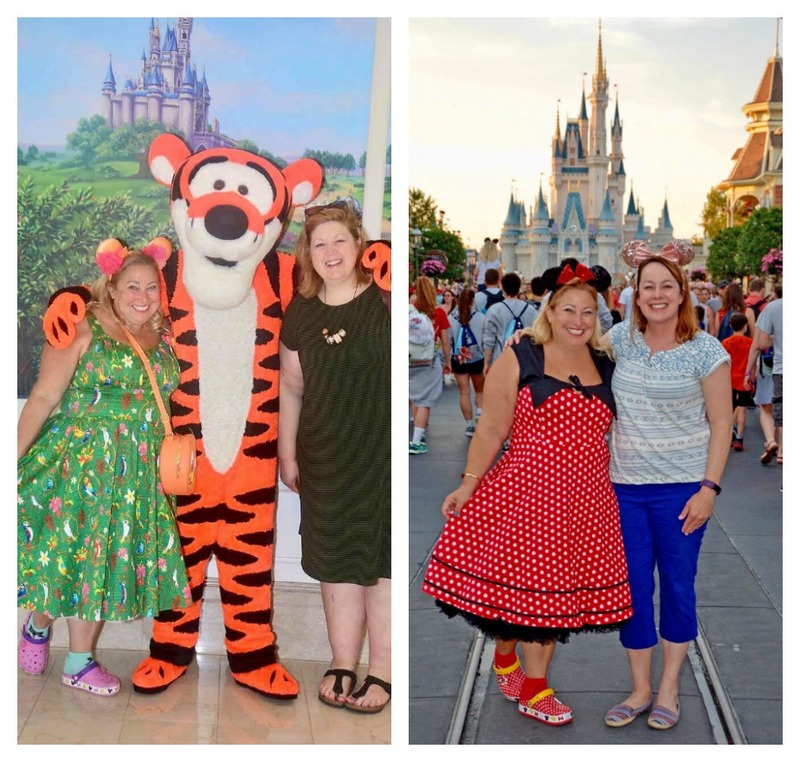 I have been to Disney for a girlfriend getaway – prechild – and there is nothing like it. Been 10 years since I have been and after reading this I have to go back. Thank you!